Some cars are like old friends. And that’s the way I feel about Ford Mondeos. 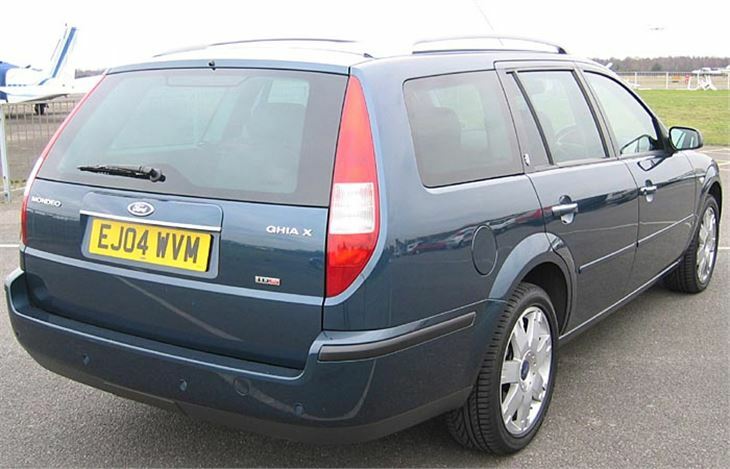 I approached this one, a Mondeo TDCI Ghia X estate with a familiarity that bred content, awaiting its new ‘surprise and delight features’, and was delighted to find it came with the 5-speed autobox. 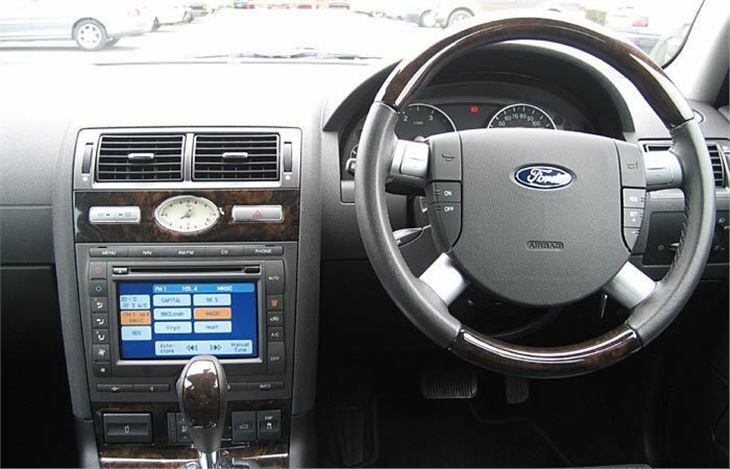 Not just that and a right-way-round selector, it also has steering wheel pushbutton shifters. In practise, you just leave it in Drive most of the time, only switching over to manual when conditions suggest that might be wise. Long sweepers, for example, are best taken in 4th; tighter bends in 3rd. The chain-cam Duratorq TDCI 130 engine is a rough old thing when you wake it up on a cold morning. Diesels and autoboxes often aren’t the best bedfellows in these circumstances. 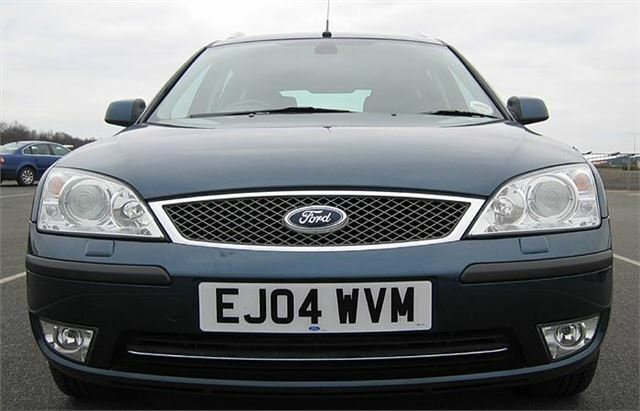 But my Mondeo soon settled down to the arduous task of negotiating a street festooned with those metre square flat-top traffic harming ‘cushions’ that knock so many suspension systems out of alignment and cause severe tyre wear. Even on 205/50 x 17s it shrugged them off. Then, when it snowed, the Quickclear heated front screen and heated rear screen came on automatically. So even though I’d had to wipe 3” of snow off and it was minus two outside, the residual ice soon cleared and there wasn’t a trace of misting up inside. Out on the open road it’s no firecracker, but judicious use of the box soon builds up some speed and it cruises very quietly indeed at 70, which corresponds to around 2,200rpm in 5th. 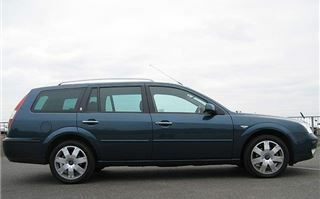 Though this is an estate, there’s a decent amount of suspension travel giving very good ride quality. And this doesn’t come at the expense of handling. It both grips well and is superbly balanced. I checked the tyres afterwards and sure enough they turned out to be Michelin Pilot Primacys, the best all-rounders money can buy and well worth the small price premium. The loadspace is as long as 1,982mm (6’ 6” to the unmetricated) and wide 1,141mm or 3’ 9”) but the seat folding mechanism isn’t the best. You can simply flop the 60/40 rear seatbacks down onto the squabs. 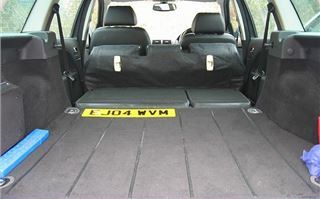 But if you want a flat floor you have to wrestle the one piece bench over on its hinge, remove two head-restraints, then fold down the seatbacks. This leaves a pair of vicious looking side-pins that could seriously damage a dog left to romp around in there. 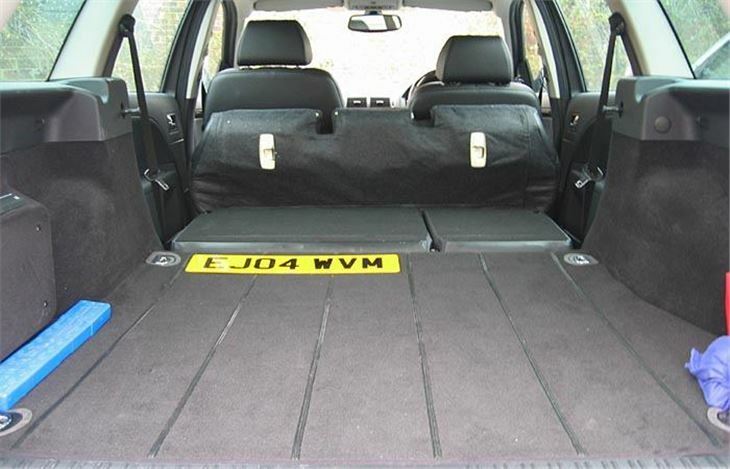 (I know dogs in cars should be caged, or at least harnessed, but try telling that to most dog owners.) With it’s clever one touch seat folding system The Mazda 6 estate shows the Mondeo the way to go in this respect. One of the goodies was touch-screen satnav which doubles up as touch-screen radio channel selector. 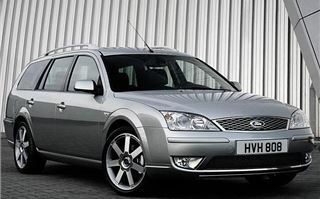 When you sit on the lumbar supported comfortable heated electric leather covered seat and grasp the multi adjustable wood and leather steering wheel of a Mondeo Ghia you could justifiably think what an unfair world it is that shuns a car like this for one no better but with a prestigious German badge. It’s an excellent car, and a better car than the equivalent Jaguar X-Type diesel estate, which shares its floorpan. Unfortunately, though, it doesn’t carry the status of the Jag. What it does carry is the Jag’s price-tag. 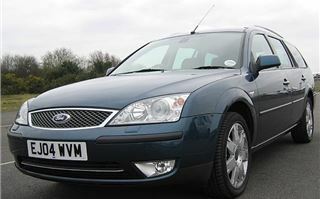 With all the extras list price of the Mondeo I was driving came to a hefty £27,600. 04 reg Mondeo TDCI 130 Ghia X estates trade book at £13,425, plus a bit for the extras on this one. Would I pay £27,600 for it? Of course not. Ford would not expect anyone to. This particular Ghia X was a showcase of how much can be packed into a Mondeo. And simply how good the basic car is. But if you could get one for £19,000 or so, without some of the expensive extras, you’ll be driving a better car than £19,000 worth of Audi, BMW or Mercedes.